1factory’s Manufacturing Quality is quality control software that promises to simplify and speed up quality control tasks carried out by manufacturers. Targeting the aerospace, automotive, medical, machining and semiconductor industries among others, the solution provides features for first article inspection (FAI) such as PDF drawing ballooning and automated reporting. Balloons can be added and dimensional data captured on a point and click basis, generating first article reports in Excel spreadsheet, PPAP and AS9102 formats. Quality control plans can also be generated in a choice of ways and reused, automatically applying revision controls and historical change logs. Receiving, in-process and final inspections can be captured, organized and monitored in real time with histograms and charts before sharing final inspection data direct to customers from inside the software. Additional key feature areas include running metrics calculations for Process Capability (Cp, Cpk) and Process Performance (Pp, Ppk), Variation / SPC control management and defect-risk monitoring. Non-conformance and the creation, management of Corrective Actions (CAPA) includes 8D report output, while general system features add user authentication controls, auditing and data encryption. We are a medium sized Aerospace manufacturing machine shop and in need of SPC capabilities. The cost and ease of use brought us in, the customer support and added functionality (to OUR needs) has really cemented us with 1 Factory. Although we started with great interest in the SPC functionality, our needs very quickly re-focused to the QUALITY aspects of 1 Factory. The functionality wasn't quite there when we first started but Nipun and his staff are QUICK to implement changes and modify multiple aspects to our specific needs. We're doing things we've NEVER done before because of the ease of use and straightforward interface. We've been able to add so much visibility to our quality functions that we're moving in a positive direction with a lot of purpose, driven by the data; it's great. We have plenty of other improvements to be made to our company and Nipun is there ready to help us achieve them.It's easy to use! I've had some experience with other programs, and they have a ton of functionality but are usually way too much and convoluted to use (inputting information takes too many steps and therefore falls to the wayside). 1 Factory is a different story; it's very straightforward. Cost! It's easy to use! I've had some experience with other programs, and they have a ton of functionality but are usually way too much and convoluted to use (inputting information takes too many steps and therefore falls to the wayside). 1 Factory is a different story; it's very straightforward. Cost! -> As of today, there ARE NO CONS. When we first started with it, it wasn't quite there for what we needed. That was QUICKLY remedied by Nipun and his staff. They're still hard at work adding more and more functionality and addressing all of our needs. I'm quite surprised by the level of attention, detail, and customer support. The Quality Assurance department is typically a paper-heavy manually driven environment that can be tied to cumbersome tasks such as; filing, storing, and revisiting data at a moment's notice. As a department/company doing our part working towards minimizing paper waste while maintaining or exceeding compliance with customer's standards, being paperless is an important priority. We are ballooning drawings in 1factory, capturing data at each work-center as the parts are being made, and importing data from our CMM. Being able to automatically record hundreds of dimensions electronically via our CMM's is quick; recalling data is fast-and-easy even when searching through a long history of records. Through my experience from a user's stand-point, The 1factory Technical Support is right on par with the actual 1factory product being held at a world-class standard.-Organization is made simple by having all of our Quality records in one place. -Inspection plans are made for any Manufacturing Operator to successfully follow inspection criteria. -Visual aids to spot any trends in the manufacturing process. -Organization is made simple by having all of our Quality records in one place. -Inspection plans are made for any Manufacturing Operator to successfully follow inspection criteria. -Visual aids to spot any trends in the manufacturing process. The ease of use has allowed our company to quickly scale this sector and provide both Internal and External customers the ability to document from receiving inspection all the way though to production and customer satisfaction. This software is very useful for Quality Assurance implementation, maintenance and documentation.The software is easy to use and learn. I have been in the Quality Assurance world for quite some time now and find that both new and seasoned persons would appreciate the simplistic, yet elegant, approach to quality. This software would not only help companies who have never had a CAPA/8D or quality assurance department, it also helps structure and document receiving inspection, supplier CAPA, Internal CAPA. The simplistic way that it produces reporting is a great and useful tool for anyone looking to gain or maintain compliance with regulatory bodies (ISO/AS/IATF) as well as keeping customer satisfaction high with quick reporting/number assisgnments to CAPA/8D reports. The IT folks love it: the software is reliably "in the cloud" and has been unavailable for a few minutes out of the 18 months we have used it. The Mechanics like it because of the easy data entry; they can report a nonconformance very quickly and be confident there is a record of their concerns. Task assignments are easy for all users: it is fine as collaboration software. The major advantage for the QE staff is the ability to prepare inspection plans working from .pdf copies of blueprints. I have worked at famous defense prime contractors without this capability for preparing plans. We have not exploited the SPC capability sufficiently but are looking forward to doing more work with it. 1factory has been great at inviting user suggestions and implementing them. 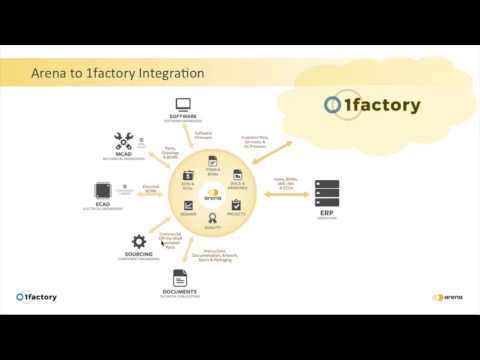 1factory Manufacturing Quality is an online quality control solution for manufacturers, designed to speed up core QC tasks across a feature set priced per user, per month. As a cloud-based software, the solution requires no installation on local on-premise servers or any overhead IT costs to deploy, with users requiring only a web browser to gain access. Draw balloons onto PDF plans and capture dimensions, tolerances and zones for first article inspection (FAI) reports via point and click, automating data collection from numerous sources to reduce data entry errors. Create quality control plans in a choice of ways with the ability to reuse existing plans, with 1factory automatically applying revision control and a history of changes for auditing purposes. Role-based permissions authenticate and restrict user access to the system, with passwords and data transfer encrypted along with daily database snapshot backups scheduled. Below are some frequently asked questions for Manufacturing Quality. Q. What type of pricing plans does Manufacturing Quality offer? Q. Who are the typical users of Manufacturing Quality? Q. What languages does Manufacturing Quality support? Q. Does Manufacturing Quality support mobile devices? Q. Does Manufacturing Quality offer an API? No, Manufacturing Quality does not have an API available. Q. What other apps does Manufacturing Quality integrate with? Q. What level of support does Manufacturing Quality offer?